Welcome to this the first in a series of bulletins on the IACA 2007 conference to be held in Kingston, Jamaica from July 23-27, 2007. This is but one of several methods that the planning committee will use to keep you informed of the happenings as they relate to the conference. The Date of the conference has now been settled. It will be July 23 – July 27, 2007. The conference will be held at the Jamaica Conference Centre, downtown Kingston. Hotel accommodation will largely be in New Kingston, heart of the city’s financial and tourism accommodation district approximately thirty minutes from the conference centre. Overflow and student accommodation will be at the University of the West Indies, Mona campus. Further details will be posted on the Web page which should be up as of July 31. 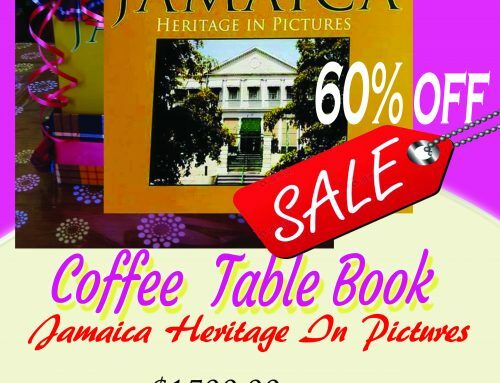 The IACA 2007 web site will be linked and accessible through the Jamaica National Heritage Trust site at www.jnht.com. At that time the bulletins will be posted on the web page as a special feature. 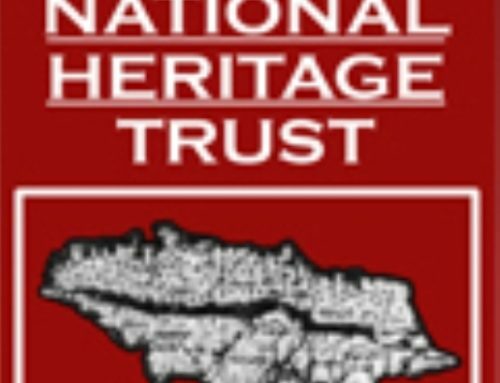 In the mean time why not log on to the JNHT website and begin to familiarize yourself with the work of the JNHT, Jamaica and our heritage. The IACA email address is iaca2007@jnht.com. All correspondence unless otherwise directed should be through this address. Session themes are recommended to be pretty much the same as the 2005 conference with a number of recommended additions. If there are any themes that you would like to see included in the conference please recommend same by the end of July. Interaction Spheres, Migration and Adaptation. The Archaeology of Enslavement, Abolition and Emancipation. The Caribbean World Heritage Experience. Persons are being asked to begin to prepare their papers early. There will be a deadline for abstracts. If at two weeks before the start of the conference you have not confirmed your attendance, you will be placed on a pending list of presenters. If you have not confirmed by one week before you will be struck of the list of presenters. There has been call for a poster session at this conference. The decision was made at the IACA Executive Committee meeting held recently to call for two poster sessions. The first will be devoted to the life and work of our colleagues who have passed on over the past two years. It will be a closed category, organized generally around the theme “Reviewing the past through the work of those who have gone on before” and will be a commemoration of the work of several of our colleagues who have made a significant contribution to Caribbean Archaeology. These posters will be prepared by their peers. The committee has already identified a number of such persons. And presenters.The second poster session will be an open category and all are invited to make this an important part of the conference from now onwards. The conference will feature three tours – two general and one specialist. 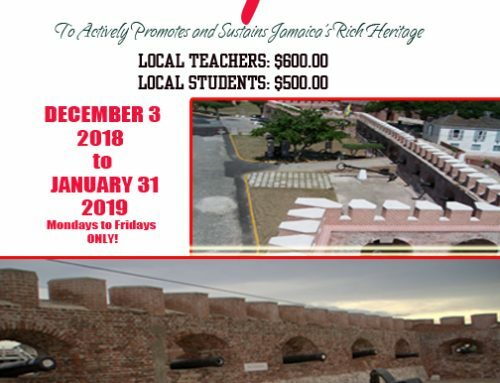 Participants will tour historic Port Royal and the Seville Heritage Park. The specialist tour will be of underwater Port Royal. More about these anon. The timing of the conference coincides with the 200th year commemoration of the Abolition of the Slave Trade in the English speaking Caribbean. There will be several activities on the island to mark this milestone. In addition, Jamaica traditionally celebrates Independence and Emancipation at the end of July and the beginning of August. The result is that there will be a large number of cultural events taking place throughout the island at this time that will showcase Jamaica’s cultural heritage and I invite you to stay a while after the conference to share in some of these activities.An effort is being made to obtain concessionary rates for those who attend the conference and would like to stay over for a week or two. There are also companies that arrange special tours for specialist interest groups that you could make use of before or after the conference. The web pages of these companies will be linked to our website for your ease of access. The World Archaeological inter Congress will be hosted in Jamaica in May of 2007. There will be no conflict between the IACA conference and the WAC. Both have their place and time. However, it will be important for planning purposes to get an idea of how many persons will be attending the IACA conference. The planning committee is asking that you indicate whether or not it is your intention to attend this conference. On behalf of the JNHT and the conference committee, I say thanks for choosing Jamaica. I look forward to working with you and to having a successful conference. Roderick Ebanks is the Technical Director of the Archaeology Division at the Jamaica National Heritage Trust (your host organization).